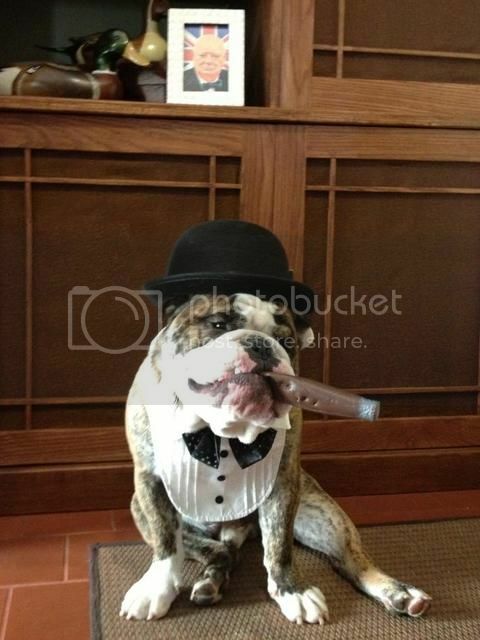 English Bulldog News Forums - October 2012 Photo of the Month Contest Winners! October 2012 Photo of the Month Contest Winners! Congratulations to LaurenA, the winner of our October contest! Congratulations to Dalia55 for being the Runner-Up! I love both of those pictures! Congrats! Oh my gosh! Rook is sending big slobbery thank you kisses! Congrats to both, great pics! Congrats, two f my favorite pic. Congratulations! I just loved both of those pics! Congrats! Those are both great costumes! I have to admit though, my VERY VERY VERY favorite was Vegas the Alien. That look on his face? omg. omg. omg. I laugh out loud everytime I look at that pic! Loved all the entries - so many great costumes! Congrats to the winners! 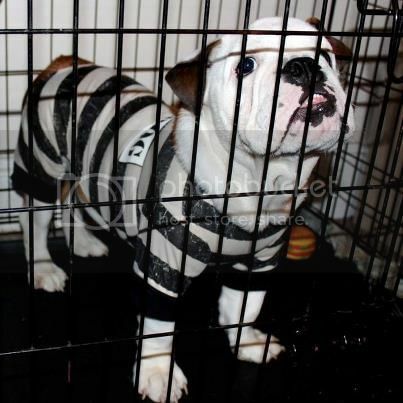 Not much is cuter than a bullie in a costume. Congrats to both of you on both wins! You two kind of cleaned up this month. For those that don't know, they both won the pumpkin carving contest too. Don't think we have ever had the same winners in the same month like that. Congrats! Both pictures are wonderful! Congratulations! Everyone had great pics...a tough choice as always! Congratulations to you both, great pics.